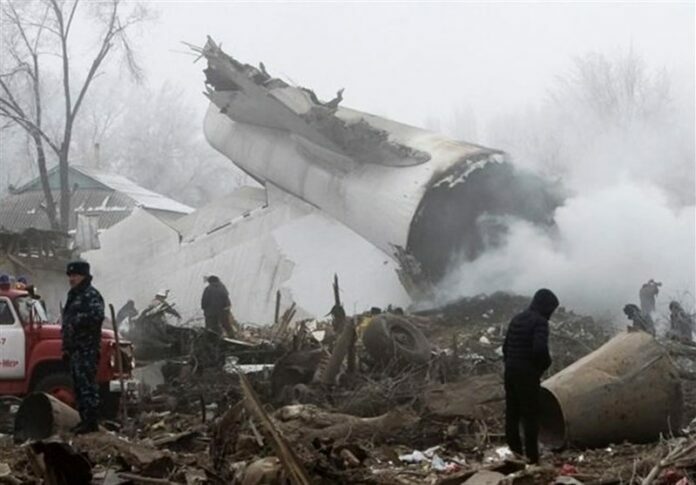 The Iranian Foreign Ministry extended its condolences to Kyrgyzstan over a plane crash that has killed 37 people. Iranian Foreign Ministry Spokesman Bahram Qassemi on Monday expressed his deep condolences to the Kyrgyz nation and government and the bereaved families of the victims. A Turkish cargo jet has crashed near Kyrgyzstan’s Manas airport, killing at least 37 people, most of them residents of a village struck by the Boeing 747 as it tried to land in dense fog. The plane was supposed to make a stopover at Manas, 25km north of capital Bishkek, on its way from Hong Kong to Istanbul on Monday.